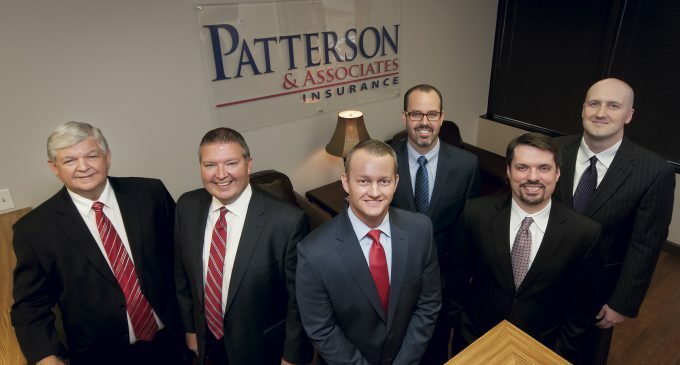 Today Patterson & Associates has annual revenue of more than $5 million and 35 employees. And it has branched out from being primarily a personal lines agency to one with significant commercial lines business. Its revenue mix is 65% commercial, 30% personal and 5% benefits. The second generation of owners is firmly entrenched with a perpetuation plan that offers new producers an opportunity to become future owners. 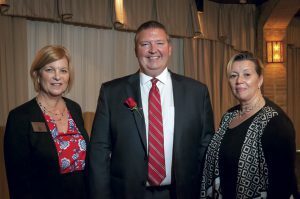 “We have the expectation that, when we hire someone, he or she will become a partner by building a book of business and meeting other criteria that include involvement with industry associations and giving back to the community,” Ben says. That model has already worked once, as Ben and four other partners now are owners, having bought out the two original partners. One of the two is fully retired and “my dad is working toward that,” Ben says. Ron stepped down as president in 2011, and Ben took over that position. The purchase of Ron’s shares began in 2012. 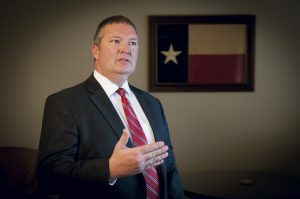 “The program has been most successful at a high school in Dallas, and we are building out a program in a high school north of Dallas where a number of independent agencies are located,” Ben adds. “This has played a critical part in countering the activities of the banks, accounting firms and other financial institutions that have been actively recruiting in our area of the country and promoting their businesses to young people. Meanwhile the insurance industry has taken its eye off the ball over the last 20 years,” Ben continues. “There is a tremendous pool of talent that will never consider insurance because we, as an industry, haven’t told our story. “Something that really brought home the importance of insurance to me,” Ben says, “was the recession in 2008. Fortunately our area of the country was not hit as badly as some, but there were still problems for certain industries, particularly residential contractors. Because personal discretionary spending was so severely affected, residential contractors were scrambling and suddenly faced insurance requirements that were difficult to meet in a down economy. One residential contractor came to us looking for a performance bond, because the only work it could find to bid on was bonded commercial construction. Sadly, we were not active in the contractors surety market and were unable to help him, and he went out of business. The only people in the contracting market who were able to get any business at the time were bonded commercial contractors. Another lesson learned was the importance of remaining a strong, stable firm that would “continue to be relevant,” Ben points out. “As I noted earlier, I was a student of the business from the moment I joined the agency, and I quickly noticed that, as a small agency, we were vulnerable. We were not able to develop relationships with carriers that we needed as we began to move into the commercial lines market, and that limited our capabilities. The solution was simple to articulate—we needed to grow—but more difficult to realize. There were several reasons for diversification, according to Ben. The agency needed to write more lines and kinds of business so it wouldn’t be hurt by downturns that affected specific niche markets or lines of business. Most important from Ben’s perspective was the fact that the agency would be better able to serve all the people and businesses in its community and environs. Ben Patterson visits with IIAD Executive Director Tammy Land, CIC (left) and Woodrow Wilson High School teacher Denise Tucker. Land is a previous recipient of the InVEST Dach Award, which honors an insurance industry volunteer responsible for fostering the growth and development of the program. Tucker was awarded the InVEST Program Teacher of the Year Award for her work and dedication to the successful program at her high school. The agency led with its strength—personal lines—by cross-selling to its current customers who owned businesses or had contacts in the business community. Soon, other companies became interested in working with the agency, as the commercial lines business grew to a significant size. 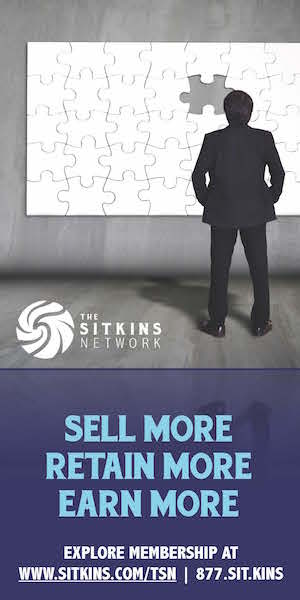 “Referrals were our preferred way to reach new prospects,” Ben notes, “and still are. We have a closing ratio in excess of 80% with referrals. But that doesn’t mean that we don’t use other methods. You have to be disciplined and consistent in developing the pipeline. Association marketing also has been very effective, where we spend time building our reputation in different niche markets. And we still do a lot of straight-up cold calling that is enhanced by our reputation in the community and business groups in the area. It usually amounts to warm calling. We also have a consistent and systematic advertising program that is designed to reach markets in which we have strong expertise. “We must be doing something right,” Ben continues. “We’ve been recognized by the Big ‘I’ as a Best Practices agency since 2013. We’re extremely proud that we’ve stayed on that list each year since then. We also were recognized as one of the best places to work by the Dallas Business Journal. That is a reflection of the fact that, every day, we make it clear to every one of our people that they are the key contributors to our being the best. “We’ve had an unbelievable run and have built a sustainable model that should let that run continue. Our growth in each of the last five years has been between 15% and 20%. In that period our commercial lines volume tripled. “I know that our companies appreciate our efforts, because they tell us they do. Many of them come to us toward the end of the year, asking what we plan to do with them in the coming year. That means we are significant to them. In fact, when I asked one underwriter about it, he told me that the company’s success in achieving the annual goals it set for the DFW market hinged on the production we would deliver! “I’m living the American dream, and when I put on my recruiting hat and try to bring some more students of the business into the fold, I emphasize that they can, too. With the right focus and discipline, the rewards in this business are unmatched by any other industry. And those are not just financial rewards. 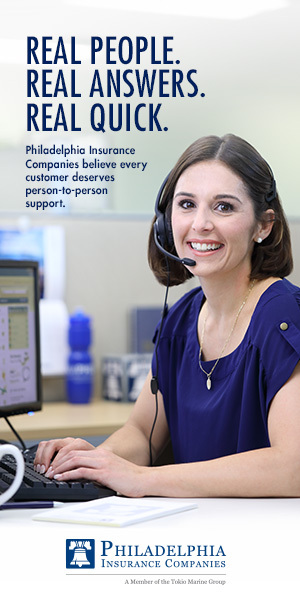 Every day we get to help people and businesses protect what is most important to them, and we get paid to do it. What could be better? Rough Notes would like to add its own “thank you” to Patterson & Associates for its devotion to bringing talented new people into the industry by recognizing the agency as our Agency of the Month.